Every now and then, trading card companies release promo cards to dealers and distributors, to show off what a new card set will look like, and hopefully increase orders for the product. 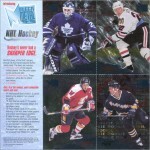 In the late summer of 1990, trading card manufacturer Score issued several such promo cards for their 1990-91 Score Hockey set. 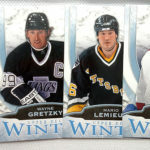 The promo cards were almost identical to the actual cards that were issued in the set a few months later. 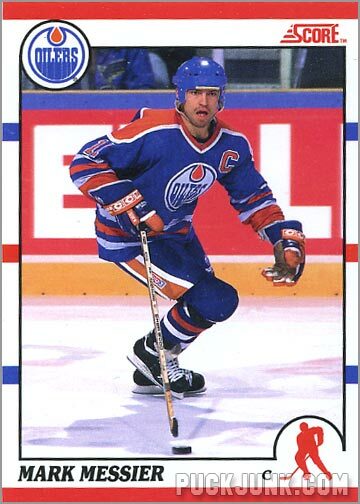 When Score Hockey cards debuted in fall of 1990, card #100 of Mark Messier showed the Edmonton Oilers captain skating with the puck. 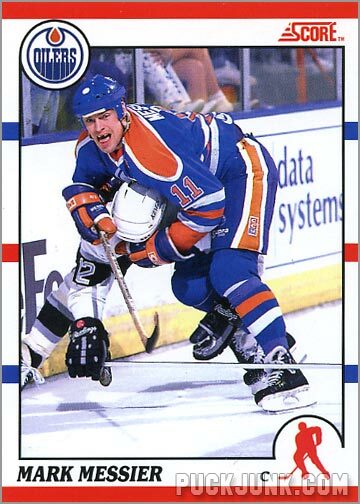 A stark contrast to the promo card, where Messier has some unlucky L.A. Kings player in a headlock, and is taking him to the boards. 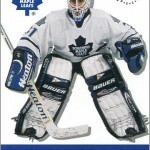 Now this is hockey! This was the photo Score ended up using. This card was way more exciting than the actual card you’d find in a pack. Messier was a badass – definitely a dude you did not want to mess with – and this card really shows us why. But maybe the folks at Score thought the photo was too violent. 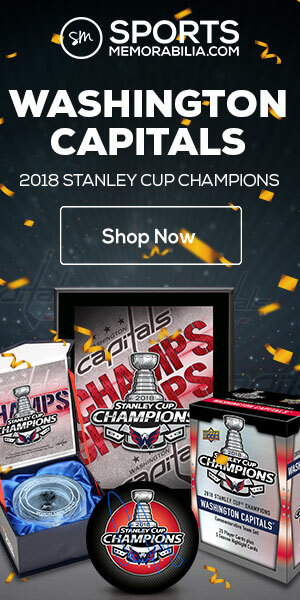 I’d love to know why they ended up using the ho-hum “skating with the puck” picture. 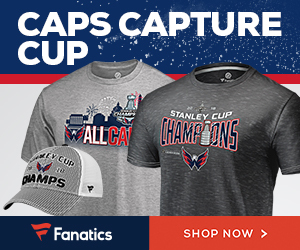 It’s a nice photo – you can see the puck, the composition is good and the photo is in focus. 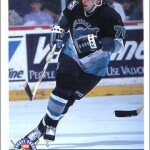 But it just lacks the intensity and awesomeness of Messier tacking an opponent. 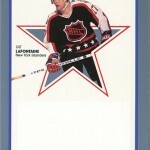 For the record, there are actually two variations of Mark Messier 1990 Score promo cards – the other promo uses the same photo as the real card. But it’s the “headlock” version that’s worth getting, as the photo was not used in any set. Hi I have this exact card in mint condition how much is it worth? I normally don’t answer “how much is it worth” questions, but…my guess would be anywhere from $3 to $10. 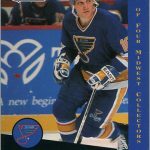 The Score promos were not all that rare.